Drivers Wanted. 2+ Years of Experience? We see these ads a lot "Drivers Wanted. Must have at least 2+ years of experience". And we hear this a lot "But how am I supposed to get a job if no one will hire me?" Here's the ugly truth: You have to put in work. You have to work with one of those huge corporations that won't pay you great, you'll have to do the runs no one else wants to; you'll have to pay your dues. Why? Because of accidents like these. 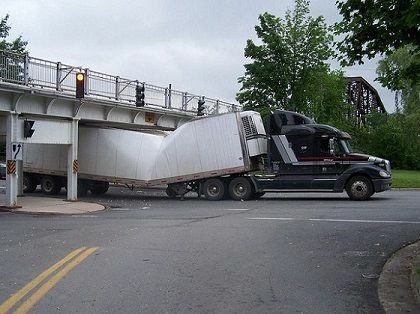 A trucking news website put out an article this week about a guy who, ON HIS FIRST DAY, tried to drive under a bridge without enough clearance. This is what happens when we allow inexperienced drivers on the road. Those large corporations may not pay you great, but if you can put in your two years with them, you'll most likely spend a significant amount of time training with someone else. You'll be tested more often. So what you don't make in pay,you'll more than make up with knowledge. 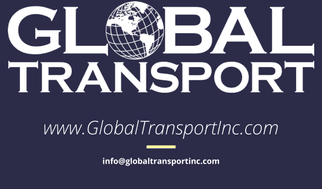 Then you can start applying to companies like Global Transport, Inc. (www.DriveForSonya.com for those of you that ARE interested in working for us). We've all seen the memes, the GIFs, and the videos of truckers making dumb mistakes. We probably even laughed at a few of them. But we have to remember something; our trailers are carrying goods that started off with a dream. Someone created something, they patented it, they found the money to create it, they marketed it, and they're expecting us to deliver it to their customers in the time that we agreed upon. The loss is detrimental to some of our customers. Even if the cargo and the truck are insured, there are other variables that could put our customer out of business. We need to be held accountable. The companies we work with/for need to be held accountable. 2+ years of experience is just a drop in the bucket in the grand scheme of things. Put in the work and prove yourself. It WILL pay off.